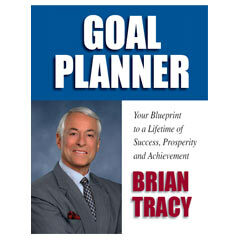 Maximum Achievement Goal Planner - Brian Tracy - Want to work on your goals, but don't know where to start? The Maximum Achievement Goal Planner was designed for you. This 89-page workbook provides easy step-by-step instructions to help you create a blueprint for a lifetime of success, prosperity and achievement. 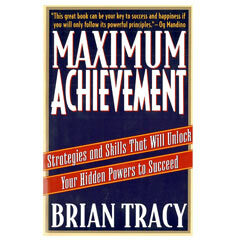 Maximum Achievement - Brian Tracy - In this book, Brian presents a proven system of powerful ideas and principles you can use to rapidly improve every area of your life. Tracy has combined insights and methods from psychology, philosophy, metaphysics, and human potential research into a unique blend of fast-acting techniques that raise self-esteem, improve personal performance, give greater focus to your efforts, and put you in complete control of every aspect of your personal and professional life. 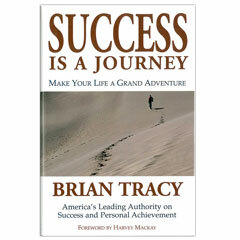 Success is a Journey - Brian Tracy - If you think success is a one-step process, think again. Better yet, read on. This tale of adventure and discovery shows not only that success is a journey, but also that the journey is success. Every step counts. Even setbacks can be invaluable components of success. In fact, as Brian Tracy and his traveling companions attest, the lessons learned from failed attempts can be lifesaving.